​2017 accepted into the 27th Annual Colorado Governor's Invitational Art Show & Sale held at the Loveland Museum/Gallery May 2018. 2016 accepted into the 26th Annual Colorado Governor's Invitational Art Show & Sale held at the Loveland Museum/Gallery April 2017. 2015 accepted into the 25th Annual Colorado Governor's Invitational Art Show & Sale held at the Loveland Museum/Gallery April 2016. 2015 collaborative piece with Jane DeDecker "In the Wings" selected by the City of Little Rock, AR for 7ft enlargement and placement in front of the Robinson Performing Arts Center, placed Nov 2016. 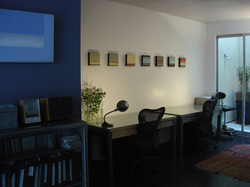 2011 Placed "On the Horizon" 40x80-inch painting at the Paramount, CA Police Headquarters for the City's permanent collection. 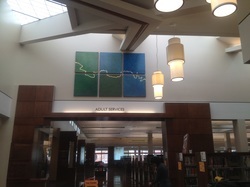 2010 Colorado State University selected nine paintings from "Remembering Plains" series for placement in their Behavioral Sciences Building. 2002 Southwest Art Magazine listed as one of the "top 21 artists under 31"